Nearly 48% of adults believe a smile is the most memorable feature after first meeting someone, according to survey results from the American Academy of Cosmetic Dentistry. At Advanced & Cosmetic Dentistry in Whitehall, Pennsylvania, the team of doctors and clinicians can use veneers to enhance your smile. Learn more about the benefits of veneers by calling the practice, or schedule an appointment online. Porcelain veneers are very thin and durable pieces of porcelain shaped to mask any flaws and imperfections in your smile. They are made out of high-quality porcelain which is resistant to chips and cracks. Porcelain is extremely durable so veneers can help you maintain a beautiful smile for many years to come. Lumineers are a brand of veneers that are thinner than traditional porcelain veneers. Because they are very thin, shell-like structures, they are easy to place on the front of the tooth surface without removing a lot of tooth enamel. Lumineers are clinically proven to last up to 16 years and can be especially effective for reshaping awkwardly-shaped teeth. Our doctors place Lumineers without shots or anesthetic because the procedure is virtually pain-free. How does the veneers treatment process work? 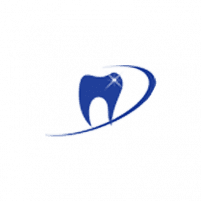 The Smile Team at Advanced & Cosmetic Dentistry assist your doctor in creating a customized treatment plan to recreate or enhance your smile. They take impressions of your teeth and learn about all your concerns. Your impressions are sent to a lab and you might be fitted with a set of temporary veneers while the lab makes your final set. Once the custom porcelain veneers or Lumineers come back to the office, you return for final placement. This might involve more reshaping and preparation of existing teeth to accommodate your new veneers. Once the veneers are bonded in place to the front of the tooth, you can enjoy your new smile immediately. You receive a free night guard when you get six or more veneers. If you’re ready to create your winning smile and make a great first impression, talk to the doctors at Advanced & Cosmetic Dentistry about Lumineers and traditional veneers. Call the practice today, or schedule an appointment online.